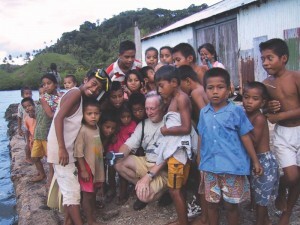 Taveuni is famous for its spectacular waterfalls, varied birdwatching, and world-class dive sites. Here you need a dive guide, as the correct tide and current is essential to see the ‘Rainbow Reef’ and the white coral flowers open on the sheer ‘Great White Wall’. 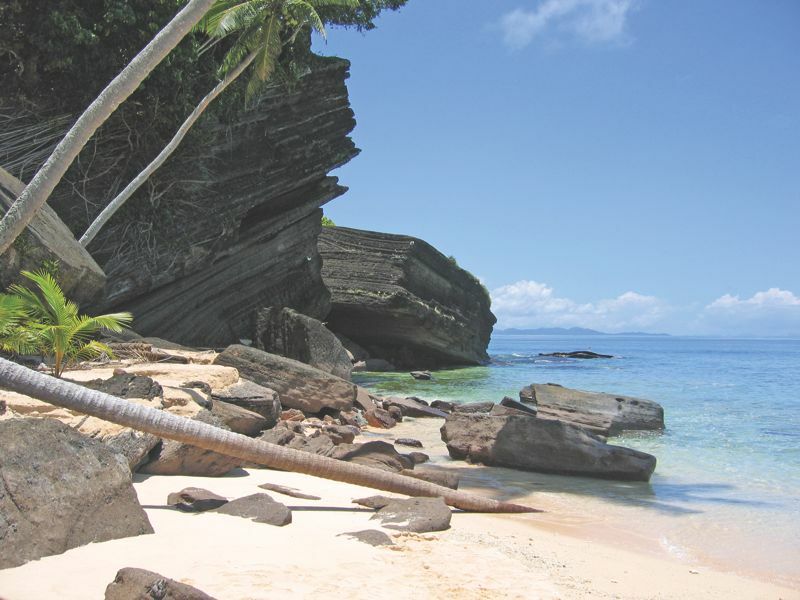 Good anchorage areas close to the Rainbow Reef dive sites are Viani and Vatudamu bays. 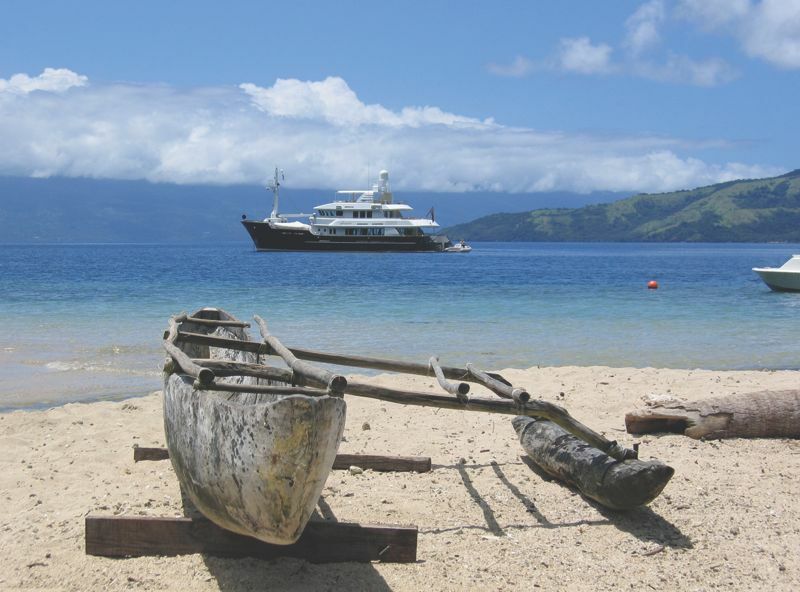 Buca bay, which is on mainland Vanua Levu, also offers a very good anchorage in bad weather with good holding ground and is also a great spot for a seaplane to land when transporting guests to and from your vessel. While in the area, you should spend some time exploring. 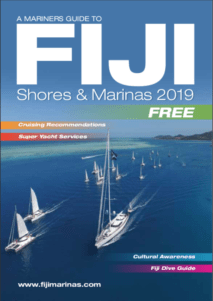 Be sure to include a visit to the two islands in Fiji that are populated by displaced South Sea Islanders, namely Rabi and Kioa. 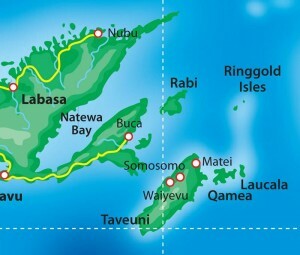 Kioa is an outlier to Vanua Levu. Situated opposite Buca Bay, it is a freehold island purchased by settlers from Tuvalu, who arrived between 1947 and 1983. Their skill in fishing is legendary as their artisans and handcrafts. To the south of Kioa is ‘Sau Eco Resort’ run by locals Nigel and Carol Douglas; the anchorage is nice and Nigel is the best guide for diving this area. He has piloted and led dives on many visiting super-yachts. However, please do get permission to land. On to Rabi (Rambi), where the inhabitants are displaced Banabans from Ocean Island, in Micronesia. Phosphate mining devastated Ocean Island, so the British bought Rabi for resettlement. 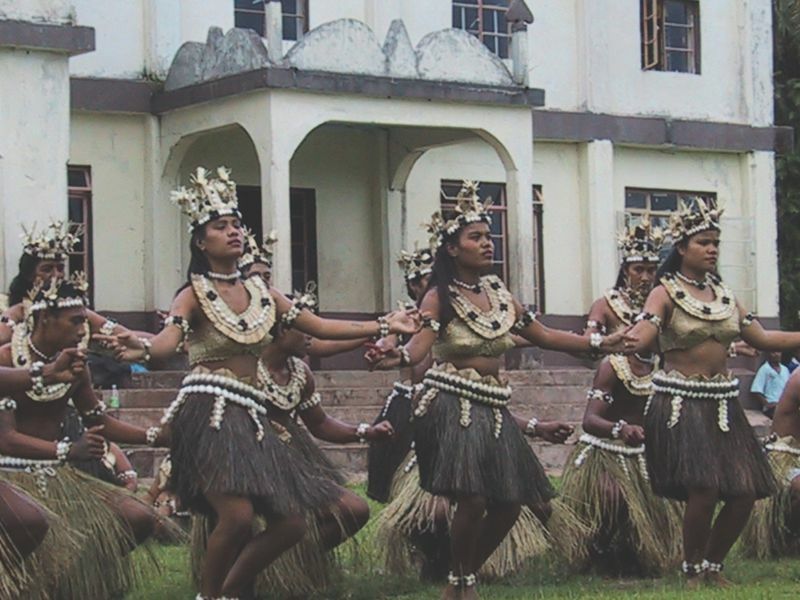 Though Fiji citizens since 1945, they still speak in their native tongue – Gilbertese, and their lifestyle preserves age-old traditions. 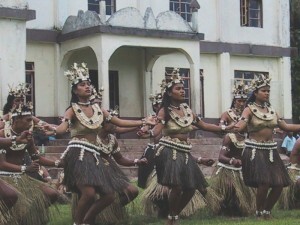 Their dancing is very unlike Fijian dancing; more Polynesian in style and very stimulating! 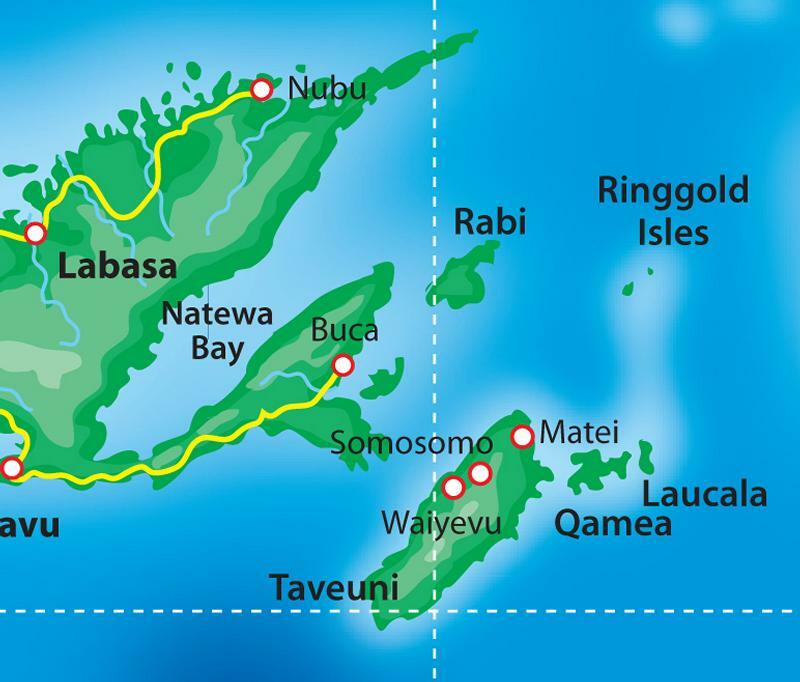 The islands of Matagi (Matangi) and Qamea (Gowmear) located to the east of Taveuni also boast some excellent anchorages. 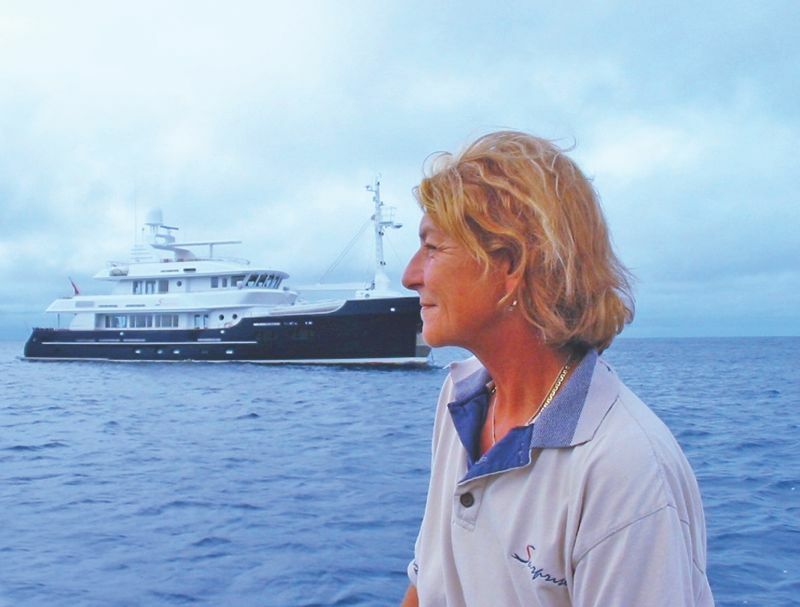 Matagi is owned by Noel and Flo Douglas who have hosted lovo’s and meke’s for numerous Superyachts over the years. This is a charming boutique resort with lovely beaches and great diving. A very good anchorage can be found to the south of the island and for smaller yachts in Horseshoe Bay. This is a private island so you do need to ask permission to land. Laucala island, to the east of Matagi, is home to a private and exclusive 7-star resort which is often frequented by the rich and famous. The Ringgold Islands are to the North of Matagi Island; the pass is deep and wide into the area. Go to Yanuca (Yanutha) village to present your sevusevu. Be sure to visit the Cikobia (Thikombia) Crater, and the deserted Raranitingga island is also worth a stop.